A short (compressed) program of video about the representation of algorithms. We considered depictions of algorithms or computing in popular entertainment, educational video about algorithms, and artistic work produced algorithmically. “Google my Bubul,” Krsna Solo (Mumbai, India, 2014). 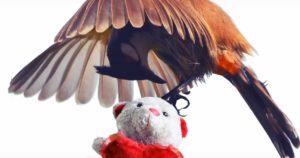 An ode to Google in which a writhing teddy bear repeatedly compares the well-known search engine corporation to a pet songbird. “Quicksort” set to Küküllőmenti legényes as performed by The Algo-Rythmics (Cluj-Napoca [Transylvania], Romania, 2011). 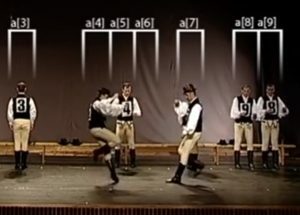 A fundamental sorting algorithm is explained via folk dance, punctuated by periodic shouts of “divide and conquer” in Hungarian. Winner of the Grand Jury Prize. “The Computer Says No,” from Little Britain by David Walliams and Matt Lucas (London, England, 2005). 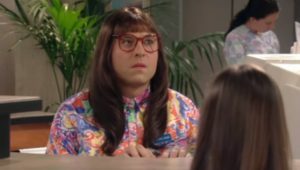 A sketch from the critically-acclaimed BBC comedy series that led to the brief popular use of the phrase “The Computer Says No” in the UK to describe a type of customer service. 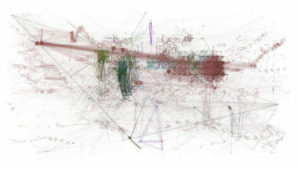 “An Algorithm Watching a Movie Trailer,” Lasse Korsgaard and Andreas Refsgaard, Støj (Copenhagen, Denmark, 2017). The real-time object-detection algorithm Yolo-2 watches the trailer for The Wolf of Wall Street (2013). “Tetris Printer Algorithm,” Michael Birkin (New York, USA, 2013). 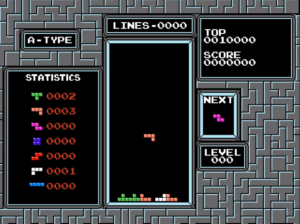 This algorithm exploits the mechanics of the game Tetris to generate arbitrary images, based on a project to apply artificial intelligence to Tetris. “THX 1138,” George Lucas (Los Angeles, USA, 1971) [excerpt: The Confession Scene, Director’s Cut]. 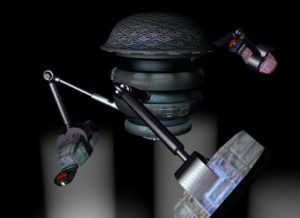 Lucas’s directorial debut (originally his student film) depicts computers and robots in a dystopian future. 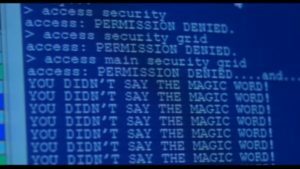 This scene is a reference to the famous 1964 natural language processing program ELIZA. “Warriors of the Net,” Gunilla Elam, Tomas Stephanson, Niklas Hanberger, and Monte Reid at TNG Medialab (Stockholm, Sweden, 1999). [excerpt: the router, the router-switch, the proxy]. 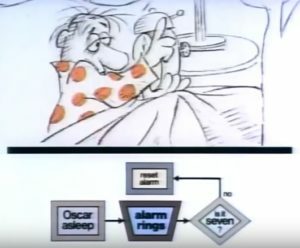 A cartoon explaining the Internet and “starring” a Transmission Control Protocol packet. “Computers Watching Movies,” Ben Grosser (Urbana, USA 2012) [excerpt: Computer watching the “Open the pod bay doors, Hal” scene from 2001: A Space Odessey]. A visualization of a computer vision algorithm watching well-known clips from popular movies. “90s Computer Hacking: A Supercut” Found Item Clothing (Portland, USA, 2014). A nostalgia trip via a supercut (a montage that isolates a single cliché from popular films) depicting the use of computers in 1990s Hollywood movies. This program debuted on September 29, 2017 at the Michigan Union. At the time this list was written, all of the videos we chose were available publicly on YouTube or Vimeo, so you can hold your own instance of our festival. This page and the commentary above on the videos is Creative Commons licensed so please feel free to reproduce this page and use it as your program. If you do repeat our festival, please let us know at auditingalgorithms@umich.edu. 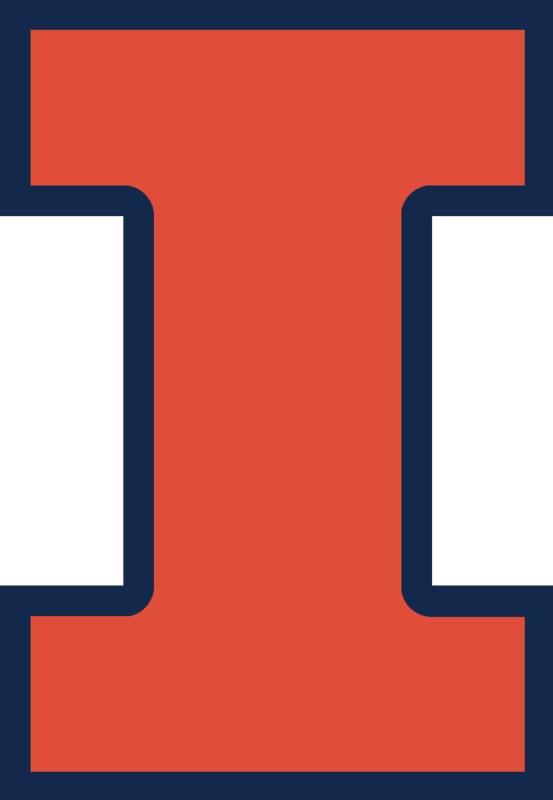 We also welcome your suggestions for future film festival entries to auditingalgorithms@umich.edu. Each juror may nominate one video that was exhibited at the festival for Grand Jury Prize consideration, or the juror may decline to nominate a video. For each nominated video, every juror casts a “yes” or “no” vote. Jurors may vote “yes” for as many nominated videos as they wish. The “yes” votes are tallied and the two highest-scoring nominated videos are retained. The others are discarded. A random factor is added by asking an expert researcher to perform a coin toss between the two remaining videos. The video that wins the coin toss receives the grand jury prize. A subcommittee of expert researchers is appointed to audit the coin by flipping it repeatedly to see if it works. A subcommittee of expert researchers is appointed to write a bot that submits nonexistent film names to the curators in order to see what will happen. A subcommittee of expert researchers is appointed to discuss developing an appropriate fairness metric for the Grand Jury Prize Selection Algorithm. An investigative journalist writes a story revealing that the Grand Jury Prize Selection Algorithm does not work as it is described on this Web page. Curators: Sophia Brueckner, Finn Brunton, and Christian Sandvig. Finn, E. (2017, September 27). Art By Algorithm. Aeon. Cambridge, MA: MIT Press. Sandvig, C. (2015). Seeing the Sort. Media-N (The Journal of the New Media Caucus of the College Art Association), 11(1): 35-51.